Our 5-axis machine can be utilised in various ways to enable us to supply complex components that need simultaneous 5 axis machining. 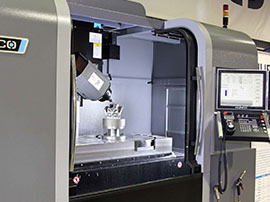 At Matrix Precision Engineering we have invested in the latest 5-axis machining technology. 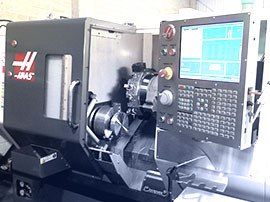 Having purchased a brand new Hurco VMX42SRTi 5-axis / Swivel Head machining centre. 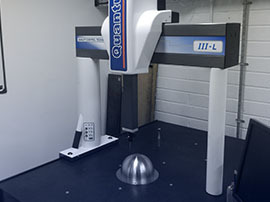 This has resulted in Matrix Precision expanding our in-house machining capabilities. Our 5-axis machine can be utilised in various ways to enable us to supply complex components that need simultaneous 5 axis machining. The advanced control system of the machine allows for direct cad/cam programming along with the ability for DXF file input. 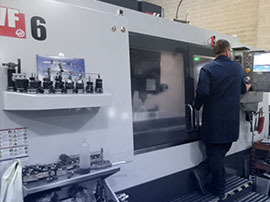 Also components that are so often machined on 3 or 4 axis machining centres can now be programmed and completed by carrying out 5 sided machining (3 + 2 milling). 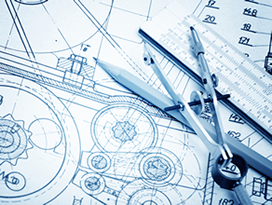 Typically machined parts that may have required work on multiple sides of the shape would have to be done in stages and mean multiple loading and setting. 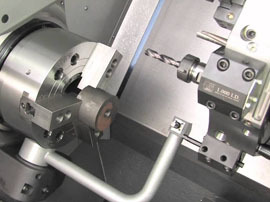 5 sided machining means all machining on multiple sides can be completed within a single set-up. 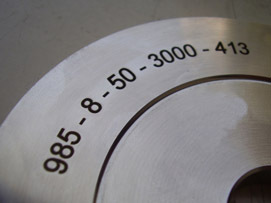 This greatly reduces loading & machining times on customer requirements. 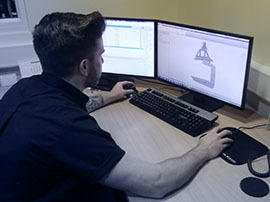 Having the ability to input CAD DXF files into the Hurco machine control system allows for quick & easy loading of CAD data and geometry of parts. This reduces programming times and potential manual input errors.